April is a’tossing all kinds of great emotional pleasures of the season. It does this every single year. Hey, my bulbs are protruding through earth’s surface. Crocus, tulips and more dots of color. That’s good enough for me. Although I know there will be a little kick or two left from Winter – for the most part – it is a done deal. Mentally, I’ve got my garden planned and planted. My happiness is sprouting like fireworks on the 4th. The birds are obviously every bit as delirious as I am. This morning they were having an April sing-along. They make me smile – realizing that smile from the beginning to the end, as my lips curl. Blossoms, clear skies with the warmth of sun and ‘can do’ attitudes become magical festivals. I’ve always been sold on Spring. But there is a funny thing about having Colorado’s four seasons. Summer’s turn will find us standing in rows of fresh growth. There is the green herbal of everything from dill to lavender. And Summer will thrill me. After Summer is the Autumn bounty of harvest, and the magnificence of fall colors. Then there’s that moment’s rush when large, cleansing flakes of snow drift down. Winter. Life is certainly a ‘Gee Whiz’ event. I’m glad that Spring has tossed us an April of simple heart pleasures. Those are the joys my life appreciates most. While it may be April Fool’s Day, I’ll be the first to admit – my soul isn’t fooled one little bit. April’s A’Tossing out days, weeks, and months of wonder. Kieran York’s latest fiction is Careful Flowers, available in book form through http://www.bluefeatherbooks.com. Books and Kindle e-books are also available through Amazon. Her romance, Appointment with a Smile, a 2013 Lambda Literary Award Finalist, is also available in both book form and e-book through Amazon, Blue Feather Books or Bella Book Distribution. A new book of poetry is planned for a summer release. Blushing Aspen is a Sappho’s Corner Poetry Series Solo book for 2014 – published by Ultra Violet Love. Her poetry is also published in the best-selling Sappho’s Corner Poetry Series: Wet Violets, Volume 2; Roses Read, Volume 3; and the newly released Delectable Daisies, Volume 4. These collections are edited by award-winning poet, Beth Mitchum. They are available through http://ultravioletlove.com and Amazon. A print interview with Kieran York is available by going to: http://ultravioletlove.com. You’ll find it under Featured Author’s Series: Inside the Writer’s Head. Two blog radio interviews are available through: http://beabehn.com – click left on Be(h)n’s Bookshelf to find discussion on Careful Flowers and Appointment with a Smile. This second installment in the Valentine Trilogy is primarily about solid, long-term, committed relationships. Last year I issued the disclaimer that my knowledge is limited primarily to ‘trial and error’ affairs of the heart. There were also the times when destiny parted what might have been. So any wisdom comes from the reference point of my years of observation. This begins my Valentine Trilogy. Each part will feature a stanza of “I’ll Remember You” – by Bob Dylan. The magical, mystical words of the legendary poet/lyricist have captured me. The splendor of these words were my inspiration for this trilogy blog. For I was reminded of yesteryear and those magnificent women who have traversed my life. This includes memorable friendships, as well as the rendezvous of intimacy and of goodbyes. Although some highways have parted permanently; many others have been resurfaced throughout the years. All are stories of love. Over a year ago I visited the Denver Art Museum’s “Becoming van Gogh” exhibit. Those of us in the area had awaited the exhibition for months, and years. The career retrospective of Vincent van Gogh included seventy paintings, drawings, and prints. These masterpieces were borrowed from forty institutions and private collectors around the world. It required seven years, and twenty-two separate shipments. Some wonder what is so important about seeing actual paintings. The answer is that in books and reproductions, so much flavor is missed. Lost in imitation of the original. I have never been more impacted by artwork than seeing the van Gogh collection. I wanted to know his soul. I’d reached into the words of hundreds of letters he’d written during his lifetime. They were of his odyssey as a misfit and an artist. His exuberant art mirrored letters of elation. His depression was also captured in both word and paint. 2013 has been an amazing treasure of a year. I made it through with great happiness in my heart. And completely unscathed. It has been a year packed with love, friendship, and family. Careful Flowers was published. I wrote a great many poems that have resonated in my soul, and they were given birth to in 2013. My favorite saying is that I’m blessed. Sometimes I’m asked about why I’m usually happy, and feeling blessed. My response is always that throughout my adulthood, living has been a shining, loving treasury. It has been a pleasure, and a privilege to live at this inventive and magical time in history. So much of my life is pure enjoyment, complete enchantment! It is full of amazing treasures. Although as in any life, there have been events and people who have been left behind. Once in my heart, most have never been removed from my thoughts. Magnificent times have been categorized and stored in a special corner of my mind’s memory. People seem always to be carefully placed inside my heart. There have been so many, and are so many, wondrous times and people. What has been unpleasant in my life has not encumbered me. For I doubt that any life hasn’t known some unhappiness. My growing up, on a scale of terrible to unpleasant, was terribly unpleasant. But childhood and adolescence only toughened me up and prepared me. It provided a grateful appreciation for all the good that I’ve seen. My adulthood has been pretty much pure loveliness. Naturally, I’ve lost people I’ve loved, and the years have handed me a life-threatening illness. And I’ve been hurt by a few people who have let me down. Who hasn’t suffered these, and far worse, problems? I don’t know anyone unfamiliar with some defeat, loss, or hurt. We encounter difficulties, and we continue on. We crowd out those who harm us. We weed out those who make us unhappy. And we outfit ourselves in resilience. How can I not be happy when I am surrounded by those who provide my life with humor, tranquility, beauty, and joy? I keep my Love, my Friends, and Family near and dear to me. Their spirit and kindness surrounds me. They are the people I trust, admire, and I love. Happiness is their gift. I hope I give that happiness back to the Love of my Life, my Forever Friends – the many decades of friendship, and my Ever-supportive Family. I am within an enclave of heart-sharing people. I honor them, not only each New Year – but every moment of my life. They are kind, courageous, dependable, respective, honorable, intelligent, and humorous. I entrust my friends and family with enduring love and friendship. That is my secret to enjoying life! I surround myself with amazing people. They wrap me in all things fine. In addition, I have so many wonderful pals I’ve met on Facebook. And I’ve been re-acquainted with several of my best friends through the magic of Facebook. If you’re reading this, you’re probably one of my FB friends. I’ve met so many genuine, talented, decent new friends. And for this I’m thankful. My FB friends have enriched my life. Together so many of us embrace the advancement of Sapphic literature. Together we share dreams for an inclusive world. Many are gracious with sharing the works of one another. The evolution of lesfic literature is the very continuation of our hearts. Our dreams are a legacy of our times. Our words belong to all. We lift ourselves as we lift one another. As most of you know, I love author’s quotes. So I’ll close this blog with a few of my own quotes. From Careful Flowers: No singular odyssey solves all queries. There was the soul to consider. From Wet Violets: She brings the world’s secrets to where I am. From the Royce Madison mystery series: Plenty Amazing! From Appointment with a Smile: I shall forever believe in love. And so, we approach 2014! I thank all of you for reading my words, for sharing them, and for your love and support. I thank you for bringing my laughter, and sometimes a tear or two. I thank you for your friendship. The gift of friendship includes wonder, humor, kindness, love, and peace. I wish each of you all of these portions of my friendship. Happy New Year! May it be the best of all. 2014! Careful Flowers is available in book form through www.bluefeatherbooks.com. Or order through Bella Book Distribution for books or e-book. Books and Kindle e-books are also available though Amazon. 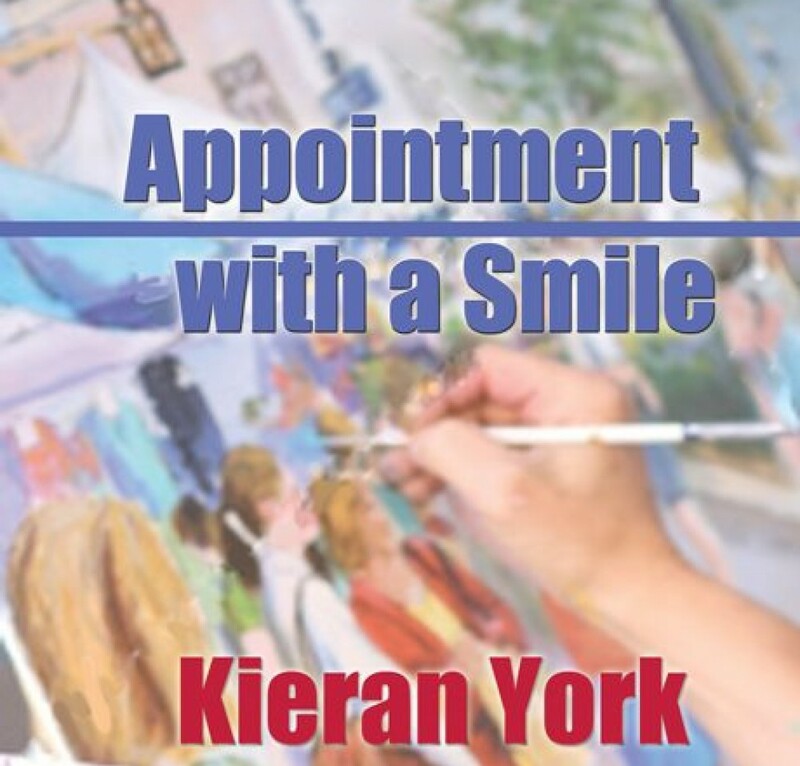 Kieran York’s romance, Appointment with a Smile, a 2013 Lambda Literary Award Finalist, is also available through Blue Feather Books, Bella Book Distribution and Amazon. If your interested in poetry, check out her poetry in the best-selling Sappho’s Corner Poetry Series: Wet Violets, Volume 2; and Roses Read, Volume 3. These collections are edited by award-winning poet, Beth Mitchum. They are available through http://ultravioletlove.com and Amazon. A print interview with Kieran York is available by going to : http://ultravioletlove.com. You’ll find it under Featured Authors Series: Inside the Writer’s Head. Two blog radio interviews are available through: http://beabehn.com – Click left on Be(h)h’s Bookshelf to find discussions on Careful Flowers and Appointment with a Smile. Fireflies swarmed the shrubbery near my grandmother’s doorstep. I loved their descriptive names. They seemed like miraculous events rather than insects. They knew how to work a crowd. Their brightly dotted tails sparkled with bursts of light. fireflies helped to shut down the day with their antics. And they knew they could close tightly the evening with their mystery. One of those Kansas nights forever beams back to my memory. The weather forecast included a steamy soaking. Night’s pewter clouds began to seal away moonlight. An uneasiness – a restlessness, was setting in. Farm folks are aware of the fine line of fate. One gentle rain shower is a healthy dousing. The following is an excerpt from a book written about my junior year in college. I was a creative writing student at the University of the Americas, in Mexico City. The year was 1963, and the month was November. Our president was murdered. I’ll never forget those horrific days – and certainly, I shall never forget the funeral Mass held in Mexico City. I attended with friends. We shared a moment in history. It was a time for our somber pilgrimage to honor our martyred president. While John Fitzgerald Kennedy’s coffin was taken by caisson to Saint Mathew’s Cathedral for a funeral Mass, the American colony of Mexico City assembled at the Basilica of Guadalupe. Seats had been reserved for Americans. As young John-John was saluting his father’s flag-draped coffin, my friends and I were a country away, saluting Kennedy in the only way we could. The final leg of our journey across Mexico City to the basilica was by streetcar. Nora, Leigh, Carlos, and I traversed the city in silence. Arriving, there was still only minimal conversation. We made our way through the plaza, passing wooden-faced merchants. We stopped for Nora, Leigh, and I to put mantillas on our heads. While we busily pinned down our lace head scarves, a Mexican handed Carlos a small American flag. Carols fished his pocket for change, but the peddler moved away. He had wanted to give an American one of this flags today. I was in awe when we entered the basilica. It was magnificent. Transfixed by the image above the altar, I wished my Gran could see this. At the atrium was the venerated, miraculous painting of the Virgin Mary. I recalled hearing that Kennedy had visited this place. He had worshiped the image of the Madonna. I reflected, wondering if he had prayed for guidance and peace. Or if he prayed for a world without violence. I bowed my head throughout the Mass. And when it was finished, we filed out onto the plaza as if we were weary warriors returning from a lost battle. Kennedy’s charisma and vision had ended. The Mass had ended. But the memory of blazing candles, the aroma of incense, the Latin chanting, and the congregation of fellow Americans would remain. None of us could grasp it. But we all knew we’d been transformed. The chill of reality caught us. The fragile thread that ties us to life’s most precious aspirations had been weakened. Our leader was lost. The life of our youthful, vigorous president had been severed. It not only shattered Camelot, it had rearranged history. It had rearranged us. It was seared into our memories. It painted our justice system with the primary colors showing our deficit – our infamy. It displayed our inability to resolve a complexity that yielded only faded images on tattered canvas. Throughout the muddied investigation, a futile search would continue. Our frailty was to be exposed. It would also brush away our own beliefs of immortality. For a portion of our best hope had been destroyed. No one lives forever. Youth of the 1960s, as all youth, believed otherwise. But this act intruded upon our security. We shall miss him. We shall miss the part of us that was Camelot. Fiction by Kieran York: Careful Flowers, her latest release. Appointment with a Smile, is a 2013 Lambda Literary Award Finalist. Both books are available in book form through www.bluefeatherbooks.com. Or order through Bella Book Distribution for books or e-books. Books and e-books are also available through Amazon. If you’re interested in poetry, please check out her poetry in the best-selling Sappho’s Corner Poetry Series: Wet Violets, Volume 2; and Roses Read, Volume 3. The collections are edited by award-winning poet, Beth Mitchum. they are available through http://ultravioletlove.com and Amazon.